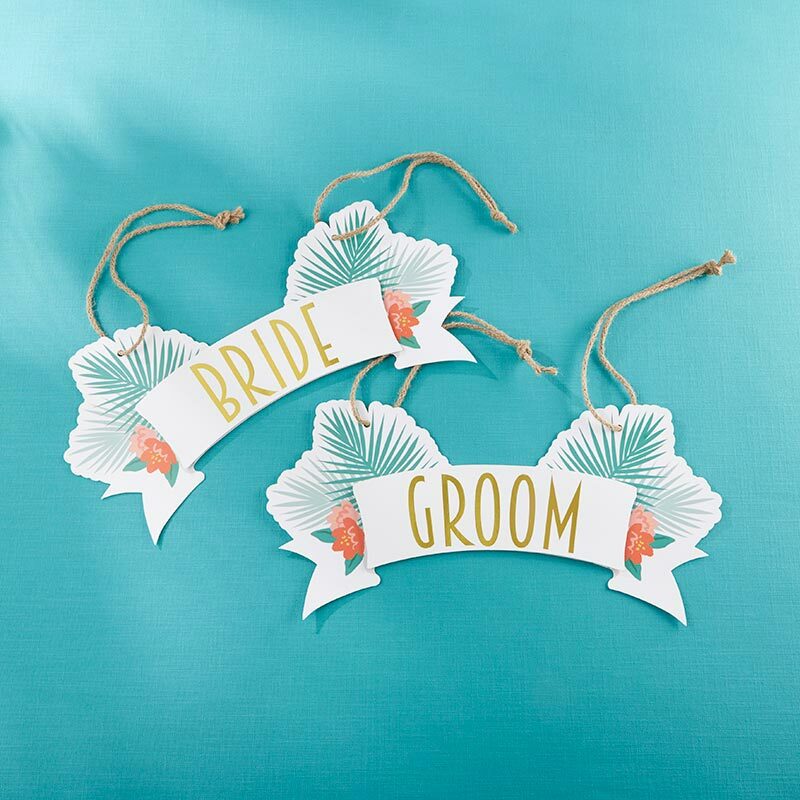 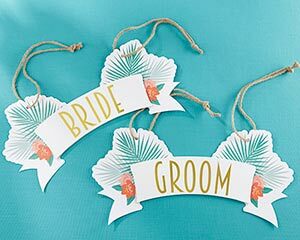 Make every detail of your big day special down to your chairs with Kate Aspen's Tropical Chic Bride and Groom Chair Signs! Made from sturdy cardstock, each set comes with two matching chair signs - one for the bride, and one for the groom! 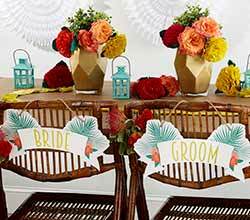 Featuring coral floral designs and green palm leaf accents, these chair signs bring a touch of old world Havana style to your reception!